In celebration of American Heart Disease month, let’s talk about the heart as it relates to pregnancy. The heart is one of the hardest working organs in the body. It functions like a pump to deliver oxygen to all the organs and cells in the body as well as nutrients. However, when the heart is diseased, it becomes the number one killer for both women and men in the U.S.
Who is at Risk for Potential Problems During Pregnancy? How Do You Recognize These Risk Factors? · If you are 35 years or older or have been diagnosed with obesity, get your cholesterol checked BEFORE you become pregnant if possible. High cholesterol levels can be treated with dietary changes and medicine. Too much of the “bad” cholesterol can block arteries to the heart and cause heart attacks. · If you have high blood pressure and/or are obese, request a cardiac echo from your healthcare to rule out congestive heart failure, poor heart valves and to obtain you ejection fraction which describes the efficiency of the heart. An EF value of 40% or greater requires the assistance of a cardiologist and you should postpone becoming pregnant until your heart condition improves. The danger is real. I never met my grandmother because she died nine months after giving birth to my youngest aunt from postpartum cardiomyopathy. A healthy heart means a healthy pregnancy. 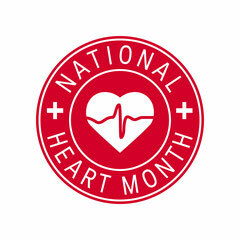 Please visit CDC’s website for additional information about the heart and please share this post with a friend. Knowledge is power.